Geishas and samurai, manga and animé come to mind when Japan enters the conversation. While these traditional and modern images about the island nation have been widely disseminated in North America, most of us cannot imagine what everyday life is like in Japan. 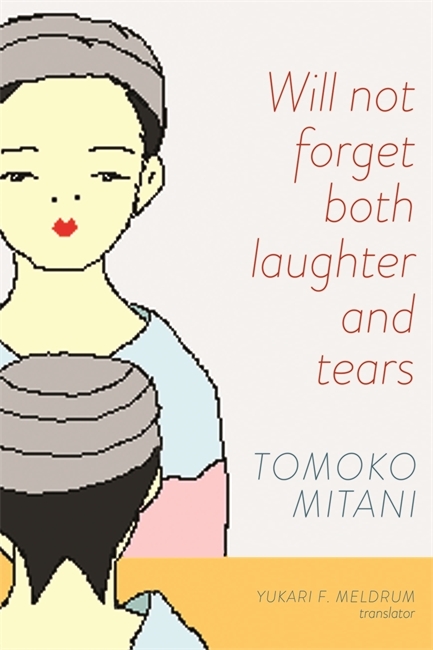 Tomoko Mitani's work addresses this gap with honest responses to the male-dominated society of Japan in a down-to-earth style that looks inward, with stories that are at once intriguing and amusing. Translator Yukari F. Meldrum finds the fine balance in translation between domestication and foreignization, letting a new vantage point emerge. This collection of short stories and a novella will interest scholars and students of Translation Studies, Japanese Studies, and Women's Studies, as well all of those who are interested in this genre. Tomoko Mitani was born in 1945 and grew up in Hokkaido, Japan. Married with two daughters, she worked as an instructor for Kumon, and her translator Yukari F. Meldrum was one of her students. In addition to various business ventures, she began writing these short stories, which she self-published as a collection in 2002, called Wasurenai, warai mo namida mo. She lives in Sapporo, Japan. Yukari F. Meldrum enjoys bridging cultures through translation and owns a translation company in Edmonton.